I have determined I am a lover of all things citrus. I will most likely provide evidence in future posts but please see past posts for Glazed Lemon Pound Cake and Lemon Sunshine for proof. How to exfoliate: Clean body as normal in shower. 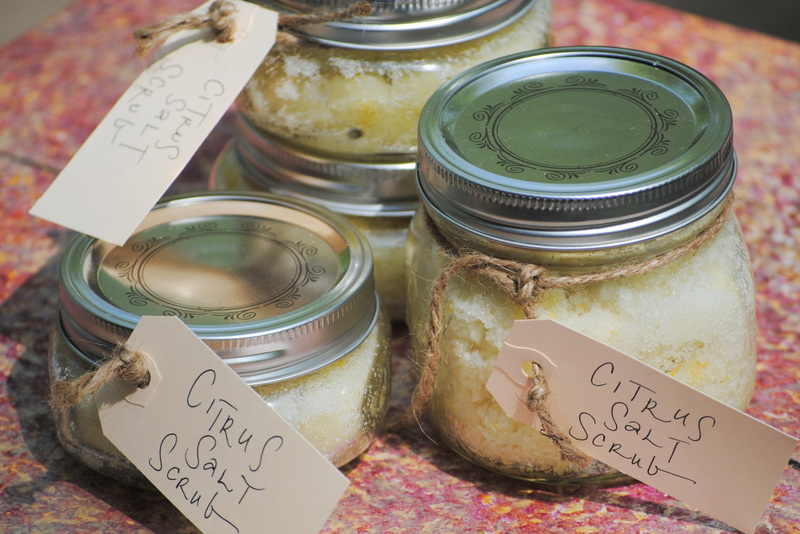 Just before getting out, apply salt scrub in a firm circular motion all over body. Concentrating on those knees and elbows! (and in my case feet!) Rinse and pat dry with towel. One batch as given above fills a half-pint jar perfectly. You can adjust accordingly depending on the container you choose. 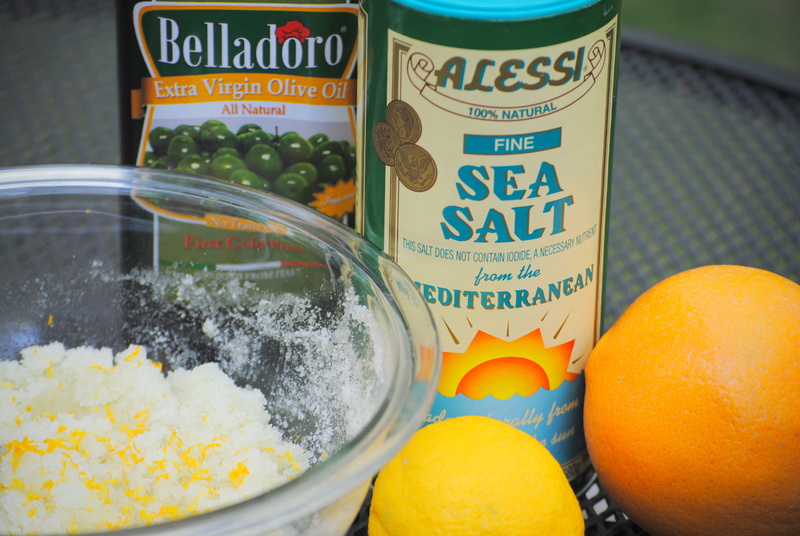 I used lemon and orange zest and a bit of lemon juice. The beauty is that you can tweak to your preference. Special thanks to KristanLynn and her blog for the inspiration. Cheers to summertime and exfoliation!